The Road — The Long and Winding Road out of MPN. Thanks to Harvey’s Gift and the MPN Research Foundation, a giant step forward will be taken to revolutionize stem cell transplant this Autumn. Think of a world where there’s no long wait for a stem cell donor, no Graft Versus Host Disease and no long-term reliance on immune suppressive drugs and antibiotics. A world where our own blood repaired of mutation is used for transfusion. e’re not there yet but the end is in sight. The CREATE seminar — CRISPR/Cas9 Edited Autologous Transfusion Exploration — is sponsored by the MPN Research Foundation and MPN Genetics Network. The seminar, meeting in advance of ASH on December 4, has already begun its work. Rachel Haurwitz, PhD, CEO of Caribou Bioscience and Dr. Ann Mullally are co-presenters at the CREATE seminar. On hand, participating in discussion and roundtables are an interdisciplinary group of hematologists, geneticists, biologists and transplant specialists.– Dr. Srdan Verstovsek, Dr. Ruben Mesa, Dr. Richard Silver, Dr. Tsiporah Shore, John Crispino, PhD, Dr. Jeanne Palmer, and Zhaohui Ye, PhD are among the participants. Harvey Gould gave us many things. He shared his stories — memorable columns of The Long and Winding Road – and his zest for life. He introduced us to his own indomitable spirit offering us humor and encouragement through the depths of his last months’ struggles. Above all, Harvey shared his love for his wife and family, his support of this community and reminded us of the redeeming possibilities of love and trust. 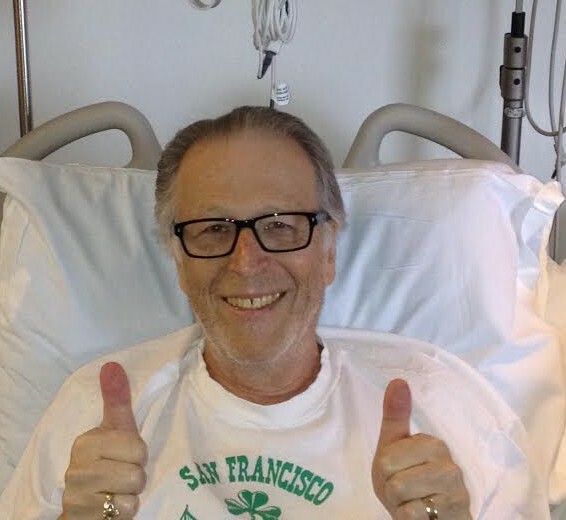 The enduring gift of Harvey’s spirit can help us plant the seed of a life-saving procedure that is needed by thousands, that will be experienced by many of us who progress to AML or the late stages of myelofibrosis. Theoretically, using CRISPR/Cas9 the process can be made safer and more effective. Blood is withdrawn from a patient, hematopietic stem cells are separated out and edited with a healthy DNA template. The resulting small colony of cells is then expanded and reintroduced to the patient a few weeks later on completion of ablation. Genetic engineers have performed ex vivo operations of this sort endless times. It is theoretic only because it has not yet been refined or applied clinically. We have already reported on Zhaohui’s work on ridding induced hematopoietic stem cells of the JAK2 mutation. The production of a personalized viable stem cell population is within our grasp technically now. The Road — honoring Harvey’s Long and Winding MPN Road — is a crusade committed to bring gene editing to relieve and cure MPNs. Our first target is stem cell transplant. In September, 2013, Harvey endured aggressive chemotherapy in hopes of knocking back AML to permit his own stem cell transplant. He had not yet found a donor. This is a common destiny. Over 14,000 patients in the US alone are waiting for a stem cell transplant. Over 70% cannot find a family related match and must turn to the Registry, Be the Match. In February, 2014, a stem cell donor was found for Harvey. But it was too late. AML proved too advanced, too aggressive. Now, because of CRISPR/Cas9 and advances in genetic engineering, we can start on the long winding road to develop a personalized supply of perfectly matched and clean hematopoietic stem cells without the possibility of GVHD. Whenever we need it. Our own blood, repaired and returned. Thanks to Harvey and the MPN Research Foundation, we’re on The Road. Again.